Making its first public appearance at the 87th Geneva International Motor Show, the RACEMO has made headway in the global automotive industry. Designed at the Tata Motors Design Studio in Turin, Italy, the RACEMO has been bestowed with the German Design Award (GDA) in the Gold category for International Excellence in “Exceptional Product Design”. The RACEMO combines strong expressions of Tata Motors’ IMPACT DESIGN elements i.e. Humanity Line, Slingshot Line and Diamond DLO, giving the car instant recognizability. The RACEMO has been built on an innovative MO-Flex platform, a structural technology, enabling greater freedom in surface design, efficient large-scale part integration leading to modularity and faster time to market. 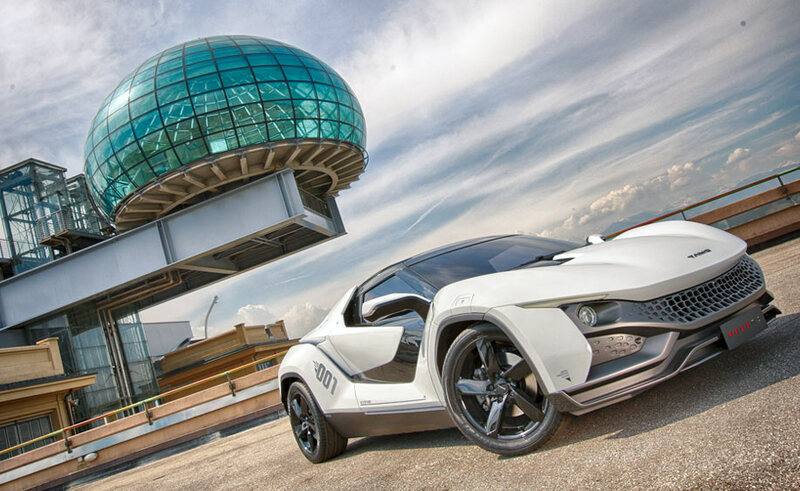 RACEMO is India’s first globally developed ‘phygital’ car, merging the physical and digital worlds. Meant for the risk-taking, adventure loving, digitally native, mobile first technophiles of India, the RACEMO is also India’s first connected car. Powered by Microsoft, RACEMO will bring alive connected technologies such as cloud computing, analytics, geo-spatial and mapping, and increased human-machine interface, creating a new benchmark in the industry for connected vehicles. The RACEMO, which is the first Indian sports car available on Microsoft’s gaming platform Forza has already in just 8 months, over 2.2 million users experiencing this design. Launched in 2012, the German Design Award (GDA) is one of the most well-respected design competitions in the world and is held in high regard well beyond professional circles. GDA follows a unique nomination process, inviting only those products that demonstrably set themselves apart from their competitors thanks to their design quality. All awards are determined during a two-day jury session, consisting of design experts from various disciplines. The GDA directly contributes to the overall commercial success. Prizes are only awarded to projects that truly represent pioneering contributions to the German and international design landscape. The highly esteemed, international jury guarantees this. Since its premiere in 2012, the German Design Award has grown rapidly: At the time, approximately 1,500 entries were presented to the jury. This year there were more than 5,000 entries, 49% of them in the area Excellent Product Design and 51% in the area Excellent Communications Design.